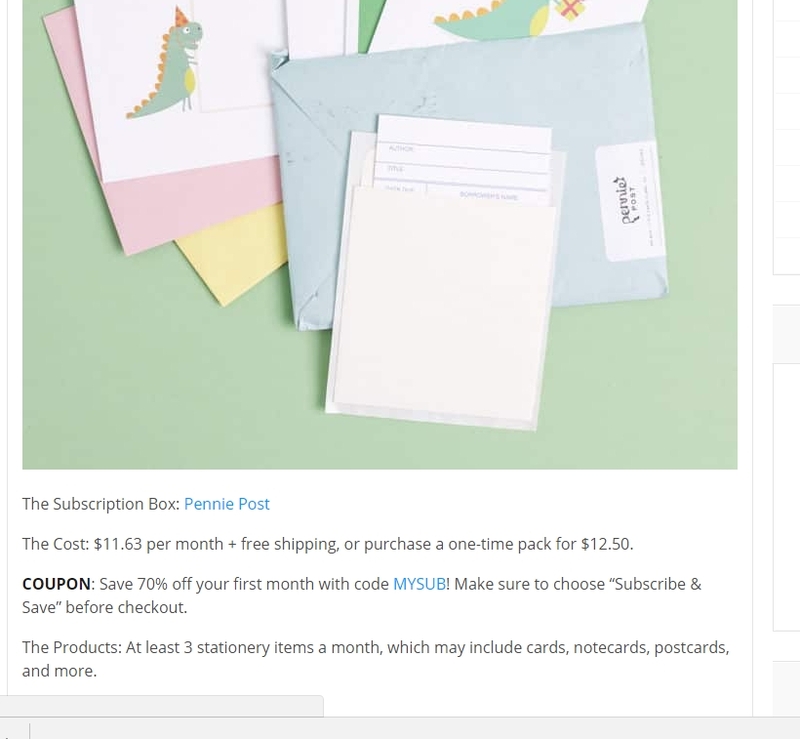 Laura DeLuca Save 70% off your first month with code MYSUB! Make sure to choose “Subscribe & Save” before checkout. Only valid on your first single box subscription. 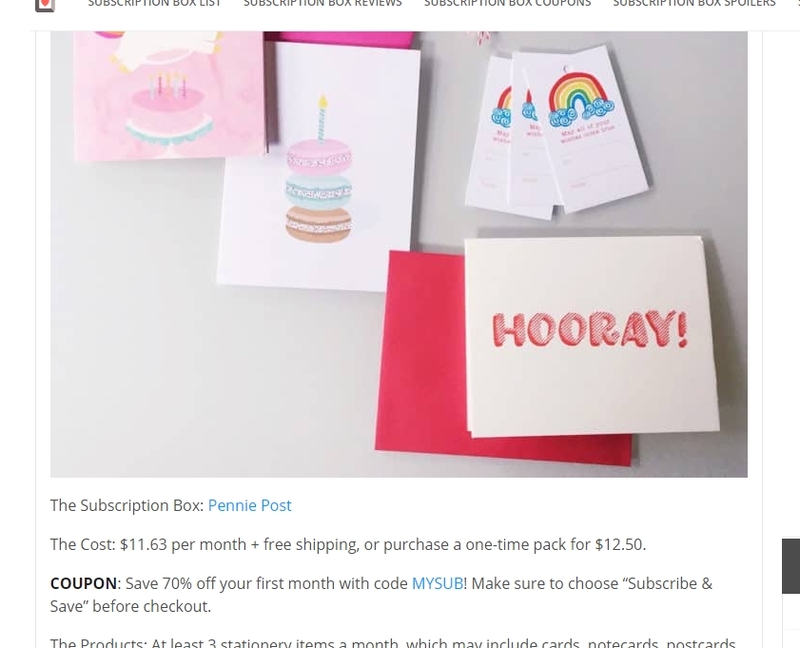 Laura DeLuca Save 70% off your first month with code MYSUB! Make sure to choose “Subscribe & Save” before checkout. Just enter the code at checkout. Laura DeLuca This deal has been extended through May. 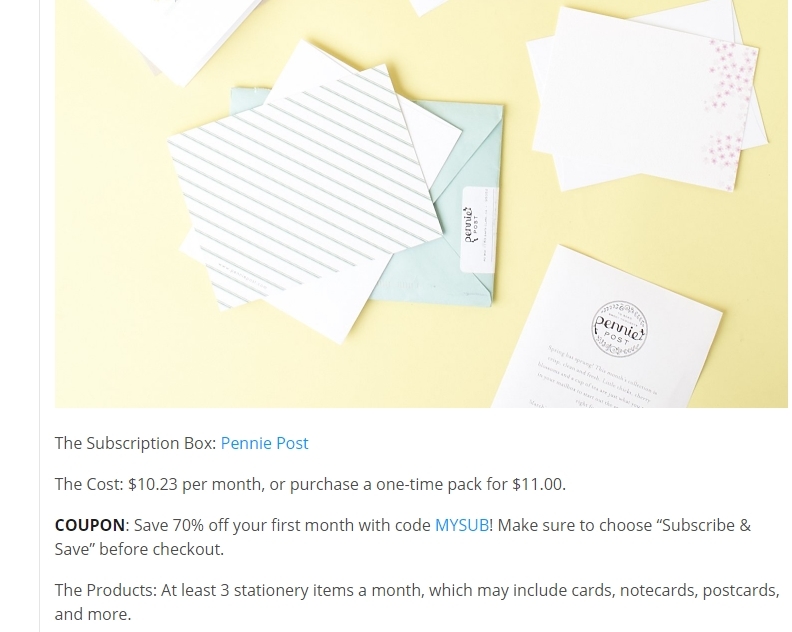 Save 70% off your first month with code MYSUB! Make sure to choose “Subscribe & Save” before checkout. 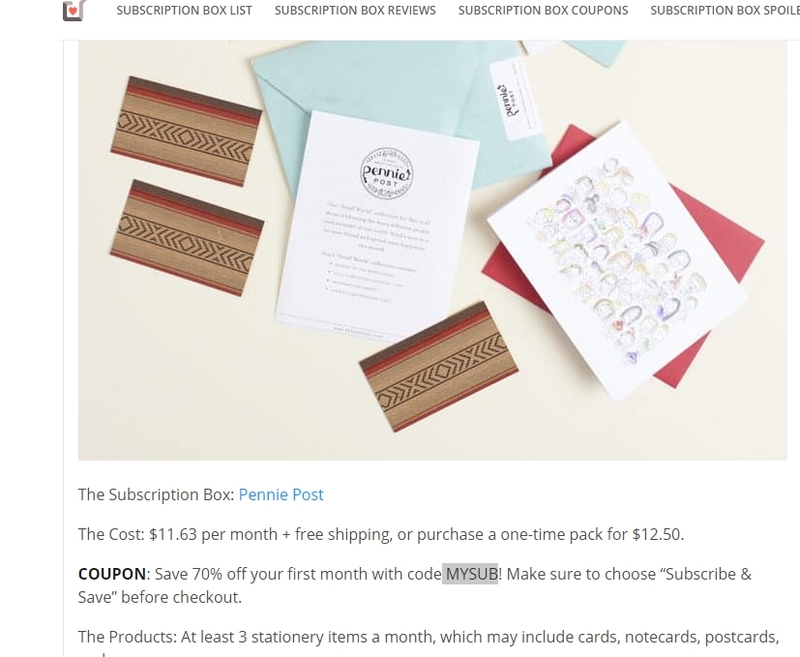 Laura DeLuca COUPON: Save 70% off your first month with code MYSUB! Make sure to choose “Subscribe & Save” before checkout. 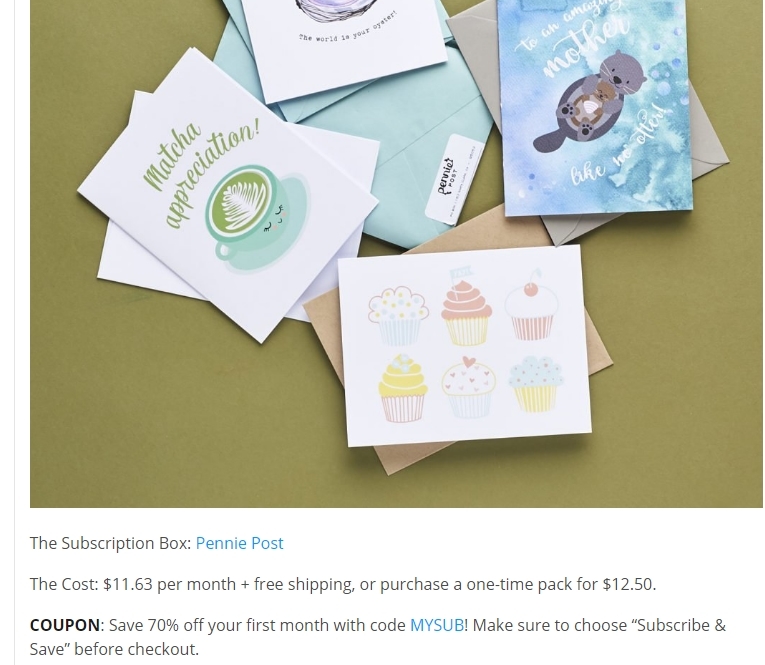 Laura DeLuca COUPON: Save 70% off your first month with code MYSUB! Make sure to choose “Subscribe & Save” before checkout. Only valid on your first order.